IKEA (the brick and mortar store) sets up fully furnished rooms for you to wander, complete with the rugs, coffee tables, and place settings of a real home. But, too often, what you see isn’t quite what you’re looking for. For your own home, for instance, perhaps you’re leaning toward the color teal rather than salmon, or a TV on the far wall instead of on a stand. It’s unfortunate you can’t always afford to see a “draft” of what you really want ― not to mention potentially risky. Enter IKEA Immerse, a project attendees can experience as part of the Real-Time Live! 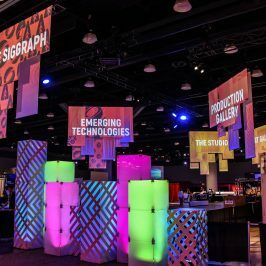 program at SIGGRAPH 2018. 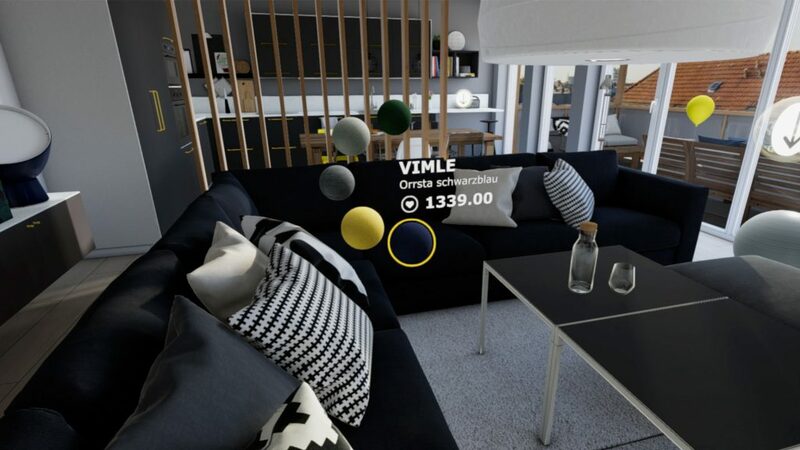 IKEA Immerse is a new example of real-time technology merging with virtual reality to create a product that provides consumers with genuine value. With a headset, IKEA consumers can design the exact room they want ― and it looks vibrantly real. The couch fibers look touchable, the mirrors shine based on lighting amount, and there are even the sounds of cars driving by outside while you design. IKEA Immerse will be presented and dissected during its team’s demonstration at \ Real-Time Live!, a SIGGRAPH fan favorite that offers attendees a glimpse of the “how to” for the most cutting-edge interactive techniques (the program will, once again, be livestreamed from Vancouver for those of you who cannot join us). We sat down with the team behind IKEA Immerse, Tobias Soffner and Christopher Baumbach of Demodern in Germany (referred to throughout as “Demodern”), for a behind-the-scenes interview about how they’re using technology to help IKEA customers. 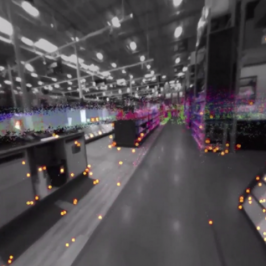 SIGGRAPH: In your own words, what is IKEA Immerse and why is it valuable to consumers? 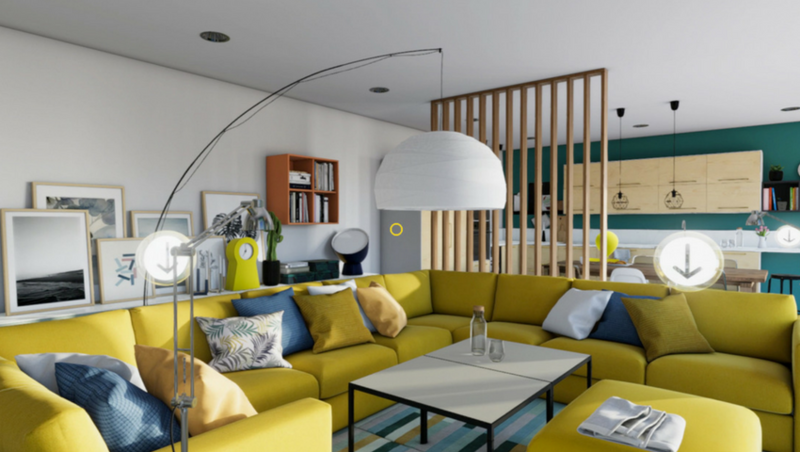 Demodern: IKEA Immerse is a benchmark interior design application that enables consumers to create, experience, and share their own configurations in a virtual living and kitchen room set. The experience is integrated in the consumer journey of select IKEA stores as a virtual and interactive roomset. With its seamless e-commerce integration, a high level of detail, and real-time interaction, the VR experience represents an engaging and valuable touchpoint. Demodern: One example of our creative process in this regard would be our time of day and context-related dialogue. We tried to create an environment that would feel engaging and alive, without having to create photorealistic animated characters to match the quality of our static assets. For this, we added small bits of dialogue and sound effects that would play depending on the users’ actions and location. For example, when entering the kitchen for the first time, our main narrator will tell you something about their favorite meal while fresh pastry is being served on the kitchen table. SIGGRAPH: What went into constructing realistic and persuasive sound effects on room scale? Demodern: Sound effects (SFX) of IKEA products and apartment sounds were recorded on real locations and in an IKEA store ― the outside stereoscopic panoramas were even shot as a timelapse over a whole day. We included several sounds that would play depending on several factors and in context. We are especially proud of our sound design inside the apartment, but even the noise of the street outside has been created with an intense level of detail. You can hear the cars drive by and children playing in the street, but, as the time progresses, these elements will fade out to create a convincing nighttime mood. SIGGRAPH: What were some of the challenges of creating IKEA Immerse? Demodern: Some of the biggest challenges were social interaction, realistic and persuasive SFX on room scale, and, last but not least, visual brilliance. In real-time rendering, this is achieved via a multitude of factors. To reach the level of visual quality we were looking for, our materials needed custom textures and lightmaps for each and every time of day, a range of visual effects and refinements such as anti-aliasing, fresnel, and reflections for every little detail. 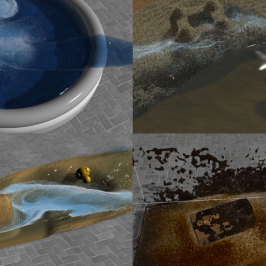 Since we use the deferred rendering pipeline, we had to rely on TAA, and that works pretty well, but on a lot of assets, our engineering and 3D art team had to create special LODs to prevent flickering seams on our 3D meshes. They also created several sets of probes for materials, which we iteratively enhanced in steady comparison with real objects and light situations. This guaranteed that even from close up, surfaces such as wood, metal, and glass appeal as realistic as possible, ensuring a benchmark virtual reality experience in real-time. 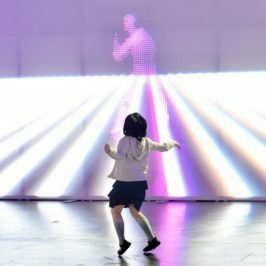 SIGGRAPH: How have consumers been responding to the experience thus far? Demodern: To date, hundreds of users are spending an average of three minutes within the app. The application is a crucial part of not only IKEA’s omnichannel strategy, but also the digital transformation of its point-of-sales in the core market of Germany. It is the successor of the 2016 IKEA Virtual Home experience, and has been tried and tested as a prototype application in an IKEA Store in Berlin six days a week for over a year. Based on more than 25,000 users, detailed analytics, and intensive user studies, we developed the new application iteratively and brought it to market for in-store as well as pop-up, event, and home-use cases. SIGGRAPH: Talk a bit about the social interaction component of IKEA Immerse. How is this possible? Demodern: Making a VR experience shareable proved an excellent challenge for us, since one of the things most people will say about VR is “You have to see it to believe it.” To achieve this, even on a basic level, we had to find a way that people could at least see the content with the largest field of view possible, on a equirectangular 360 image. 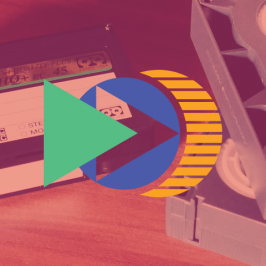 Since most social networks are supporting this format, it provided a convenient solution we could create from our existing workflow, using just the real-time rendering on a dedicated server to handle requests coming from the in-store clients. This way, every customized environment of IKEA Immerse can be viewed at vr.ikea.de with a list of all the items that were favorited later. 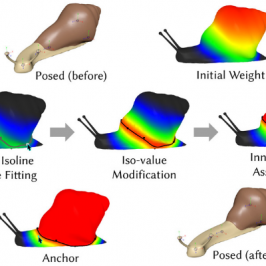 SIGGRAPH: How can this product be used in event and home-use cases? Demodern: The overall build is digestable for remote servicing and continuous updates in the Oculus Store. Furthermore, an adaptable idle mode on the in-store 2nd screen can be used to vary call to actions and onboarding in store. Whether at the IKEA catalog launch event, in German retail stores or ― planned to be released soon ― in the Steam Store, the application is modified for target audience and use case. Demodern: Being established in retail environments as a part of the consumer journey, our virtual reality experience will now aim to reach the plateau of productivity. This means providing a sales tool that inspires consumers, enables them to explore products with their friends and family, share configurations on social media, and, most of all, shop configured products in-store or online. This, too, will be a process of learning and refining, thereby creating a new shopping experience. SIGGRAPH: Is there anything we did not cover that you’d like to share? Demodern: Working for many years in digital innovation projects for IKEA, this application is still a lighthouse project for us. This is the very first VR experience that is public six days a week as an independent retail installation, and the IKEA customers are manifold in age, heritage, and interactive needs. This diversity means we’ve earned a great deal of insights on how to craft a joyful, performant, and meaningful experience. After all, a democractic design approach is at the core of any VR experience: open, accessible, playful, and helpful to everyone. SIGGRAPH 2018 Real-Time Live! is open to Select and Full Conference attendees and is scheduled to begin at 6:00 pm PT on Tuesday, 14 August. Tune in or join us live to find out who wins the Best of Real-Time Graphics and Interactivity Award!